Rat glue boards are sometimes also referred to as rat glue traps, or sticky rat traps. The type we supply are exactly the same as the ones most widely used within the UK's pest control industry. These should not be confused with the lightweight card variety, which tend to be too flimsy to trap even a small rat, regularly proving to be a complete waste of money! 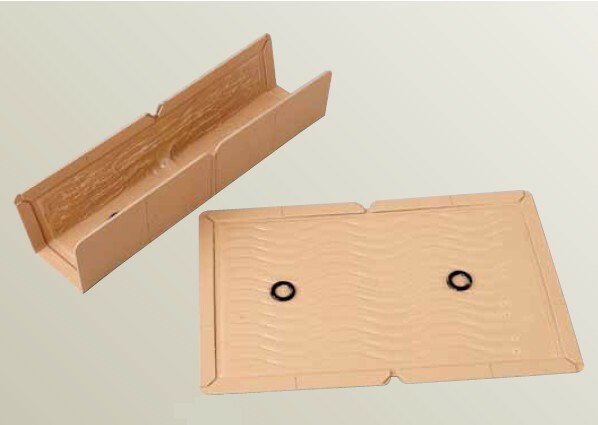 For larger, better value pack sizes, please click on the 'Glue Traps For Rats' tab towards the top left corner. There's a moose loose,aboot this hoose. The delivery and packaging of my glue traps was all that was desired,and I would recommend this Company on that criteria alone. Am waiting for the outside temperature to drop,when the beasties will surely appear,and I can assure anyone that these traps will do the job,----forget all the other products advertised,I know from experience that glue traps are the perfect solution. Excellent service with an excellent result. I would have no problem recommending this company or their product. They do exactly what they say on the tin. My god, this really works. Very fast, the rats got glued. Glue Traps. They do the job, thank goodness as rats are SO bright and learn very quickly! I was practically over run with them until I got the glue traps!